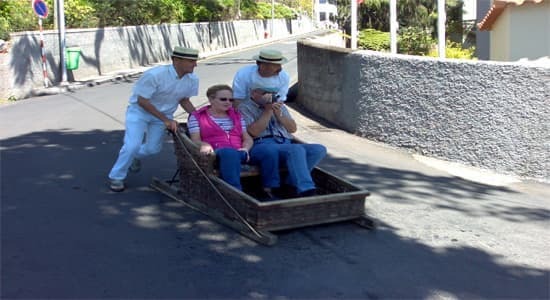 Funchal Taxi Shore Excursions from Funchal cruise ship. Center Tour with Toboggan ride. There’s a magnificent view across Funchal from the top of the viewpoint. The Pico dos Barcelos Viewpoint is approximately 355 meters (1165 ft)above sea level. 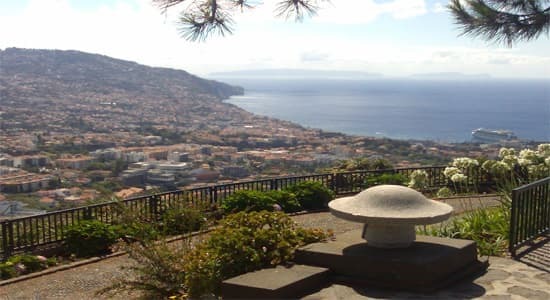 From this point there is a splendid panoramic view over Funchal bay and the city area, with the Desertas Islands in the background. A spectacular and hair-raising rock ledge, overlooking “Curral das Freiras” a horse shoe shaped valley far below. This valley has three sheer sides that cut into the serrated peaks of Madeira. 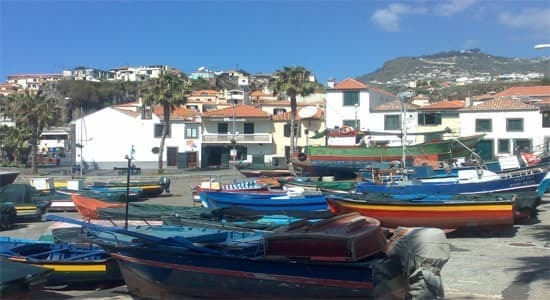 Camara de Lobos: is located west of Funchal. A small fishing village. It is one of the island’s most atmospheric fishing villages. The village was named after monk seals which frequent visitors to the harbour. The centre of the village, with its whitewashed houses, shops and bar where you can taste the local drink poncha, remains instantly likeable. 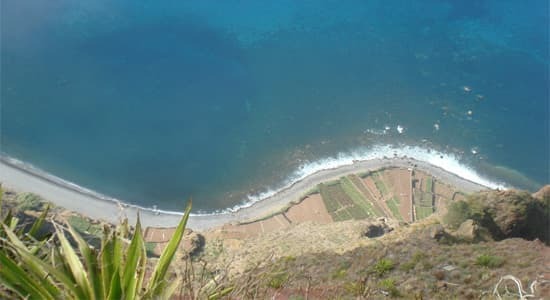 Cabo Girao: The second highest Sea Cliff in the world (after Norway). so named because Zarco got this far on his exploration of Madeira´s coast in 1418 before he did an about turn (girao) back to Funchal .There is a small well railed miradouro.With a fine view across towards the distants.It´s a lovely and tranquil spot .The smell of pine and eucalyptus in the air.Vine and vegatables are cultivated at the foot of the cliff. 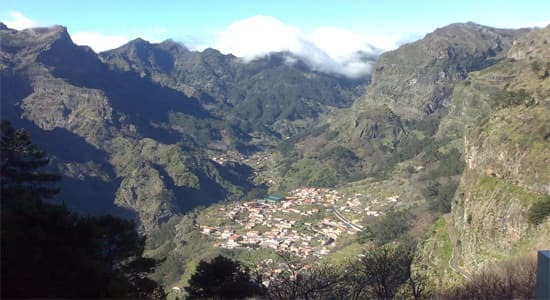 The attractive village of Monte perches 550 m above sea level and is 6 kms from the centre of funchal. The beautiful gardens of Monte palace. The 2 towered church is the islands most important church. The church is also the final resting place of emperor Karl I of Ausria and king of Hungary. For most people, the toboggan run is the most memorable experience to be had in Monte. The toboggans are basically giant wicker baskets , attached to wooden runners which are oiled using a greasy rag. Please note: The price for the private tour does not include the cost of the tobbogan ride which is 30 € per couple.